"I was thinking about my own self-destructive side, and how you can make something only to tear it down," says singer Florence Welch about the new song. "When you're in that whirlwind, you often end up breaking the thing you love the most." Due June 2 in North America, the follow-up to 2011’s “Ceremonials” was recorded throughout 2014 and produced by Markus Dravs (Björk, Arcade Fire, Coldplay) with contributions from Paul Epworth, Kid Harpoon and John Hill. 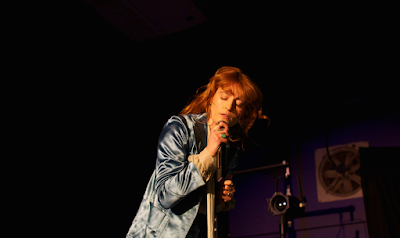 Florence And The Machine will perform at Coachella on April 12 and 19, followed by a series of festival appearances in June, including New York’s The Governors Ball, Bonnaroo and Bestival Toronto.